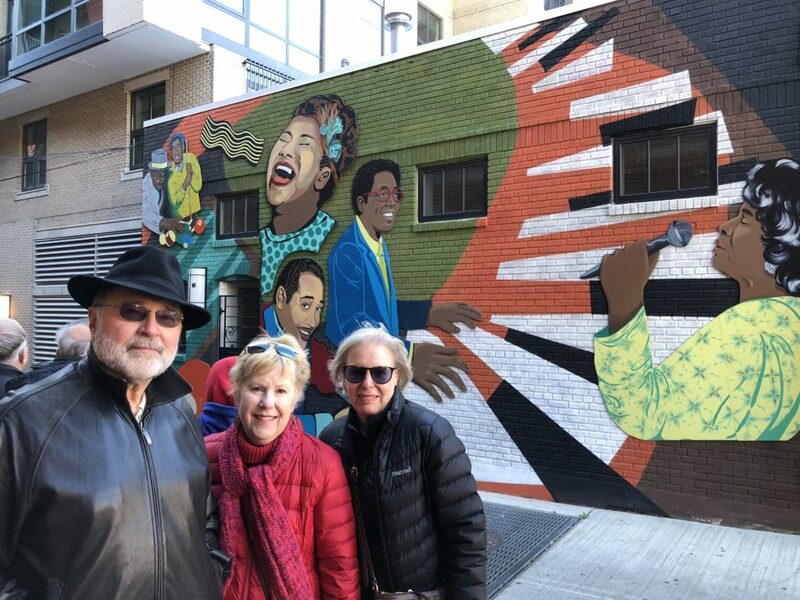 Our members recently enjoyed a two hour walking tour of the highlights of DC’s incredible Jazz history in the Shaw neighborhood. The clubs and theaters on U Street, N.W., dubbed the city’s “Black Broadway,” drew audiences to hear headliners like Cab Calloway, Louis Armstrong and D.C.-born Duke Ellington. 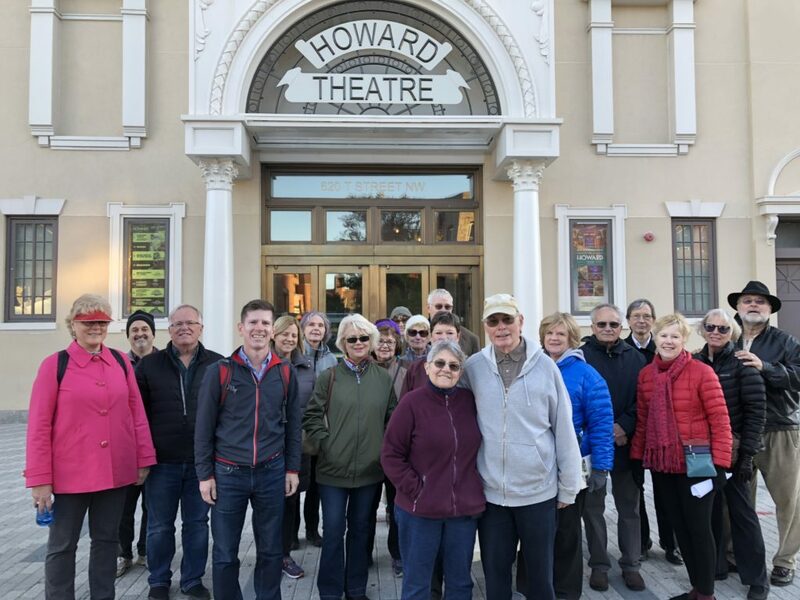 Our members in front of the Historic Howard Theater. Photo courtesy Louise Kenny. 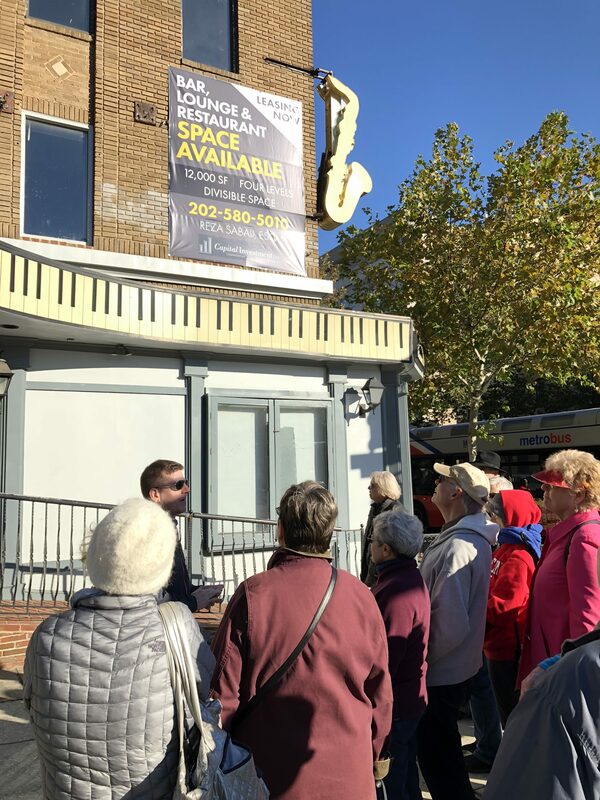 Members listen to tour guide Garrett Peck in front of Bohemian Caverns. Photo courtesy Louise Kenny. Members in front of DC Jazz Icon, a mural by Kate Dicecco on one wall of the Right Proper Brewing Company. Photo courtesy Louise Kenny. Some of the crowd went on for more modern day jazz – to listen to our instructor Ken Avis and his band Veronneau. Thank you to Louise Kenny of our Special Events Committee for coordinating the tour. View our current list of Special Events and join us soon!